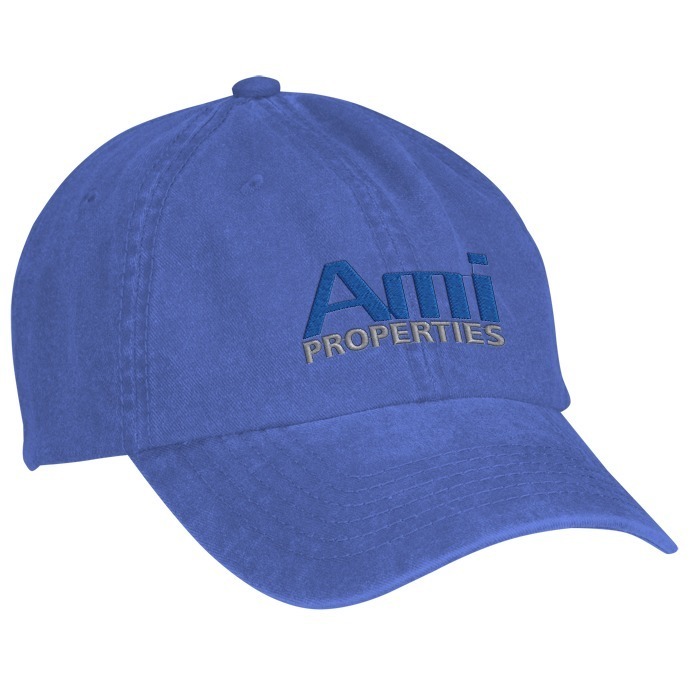 This wearable advertiser gets your company extra logo exposure! This stylish cap features an unstructured 6-panel crown and worn, destructed appearance. 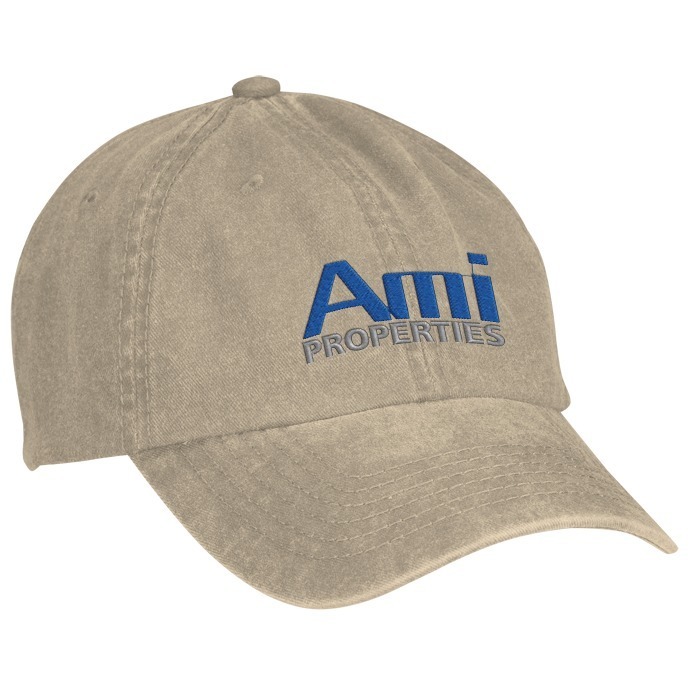 Made from 100% washed cotton twill with a pre-curved visor and a low profile. The adjustable hook and loop closure provides a snug, comfortable fit. Your price includes embroidery on the front of the cap.